My horse is lame when he loses a shoe. How can I ride without them? I thought horses needed shoes if you wanted to ride them. Am I being cruel if I ride my horse without shoes on? My shod horse stumbles all the time, even when I’m not riding him! Won’t he be even more dangerous without shoes on? My horse’s feet chip and fall apart without shoes. Won’t he get worse if I keep him unshod? What is the transition period people talk about? Does it mean I won’t be able to ride my horse for a while if I take his shoes off and go ‘barefoot’? What is the difference between natural hoof care and an ordinary farrier trim? I keep my horse shod because he has really flat feet. 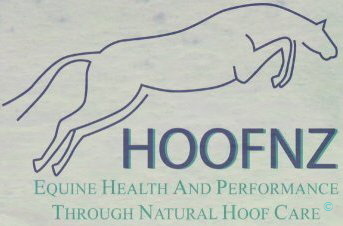 Can natural hoof care help his flat soles? I read that a lot of research went into developing the natural hoof care method of trimming and most of the information was obtained from wild, free-roaming horses in the USA. Aren’t those mustang horses different from our horses? How can a wild horse in America be compared to our domesticated horses in New Zealand? Won’t my horse have less grip/traction without shoes and slip more easily? My shod horse has always been sensitive to stones. If I take his shoes off and find a trimmer or farrier to trim him how long will it be before he will be able to be ridden on gravel roads? I do a lot of competing and jumping on my shod horse. I use studs for grip in heavy going. Wouldn’t my horse slip too much if his feet were bare? My horse’s shoes keep falling off. He has weak, thin, shelly walls and his shoes usually only stay on for a week. I can’t possibly take his shoes off because he doesn’t have any hoof wall. He’s not a good candidate for natural hoof care is he!? What is conditioning? I hear people talk about conditioning their horse’s feet and I’m curious to know what this entails. I sometimes ride on tar seal and gravel roads. Don’t horses need horse shoes on their hooves to protect them from the stones and abrasive footing? I have read that horse’s hooves bleed after being trimmed! I’m not comfortable about someone making my horse bleed!! Is this necessary? My horse’s hooves keep splitting. Can natural hoof care prevent this? If I’m riding long distances, i.e. Trekking or Endurance, won’t my horses feet wear down too much without shoes on? I usually only get my horses trimmed every 3 months or so, about when the hoof wall starts to split and break off. How often would I have to trim my horses if I followed this method? I tried taking the shoes off my horse but found barefoot didn’t work for her. Even after 2 months she wasn’t able to trot comfortably on a gravel road. Why didn’t it work for her? I’ve tried everything with my foundered pony. Can natural hoof care cure her? She is very sick. My horse used to be very athletic but now he seems to be getting very lazy when I ride him. I’ve recently read that this can be because he has pain somewhere in his body. Could his feet be sore? I have a shod horse that always has cool hooves. I’ve been told this is normal but my unshod pony always has warm hooves. Is this because horses and ponies are different or is there something wrong with my pony? My horse constantly seems to shift his weight from one leg to another while resting. My friend said that natural hoof care can help him with this. Why does he do it and can the trimming you describe help him? What benefits or changes would I expect to notice if I took the shoes off my horse? Would I be able to do a really big ride like the Great New Zealand Horse Trek or the South Island Cavalcade if my horse was barefoot? Is there anyone in my area who has changed to natural hoof care that I can contact to hear what they have to say about this method of trimming horse’s hooves? My friend said that her horse used to be grumpy but he has become really sweet natured after a couple of months of natural hoof care. Surely it isn’t just trimming his hooves that has changed his nature! ?